Great vegan Thai recipes to try at home. Here is two of our very own vegan Thai meals that we cook on a regular basis in our restaurant. I hope you try them at home and love them as much as me. Thai food is really easy to make vegan, in stir fries its just the oyster sauce that needs to be replaced with a vegan equivalent like mushroom sauce. 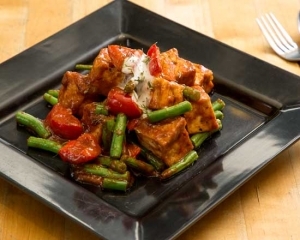 The first meal is the Tofu Prik Khing stir fry, its a red curry paste stir fry with green beans, capsicum. The second is traditionally a breakfast food in Thailand Kow Tom (Rice soup) also know as “Jo” in different regions this can be found all over Thailand and is usually vegan as is. We sell all the necessary ingredients at our shop if you cant find at your local Asian grocer. 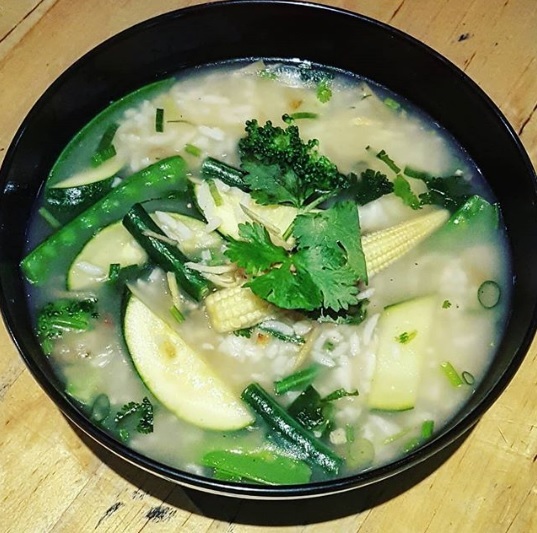 Never throw out vegetable scraps, they are great to make a vege stock for use in this recipe.